I was a bit miffed at myself for not having any art ready to be signed from the other guests at the show. I was so wrapped up about getting everything together that it never even crossed my mind. Plus the fact that I never anticipated Mr. Malloy or Mr. Bulloch being so generous with signing stuff for me and my son. 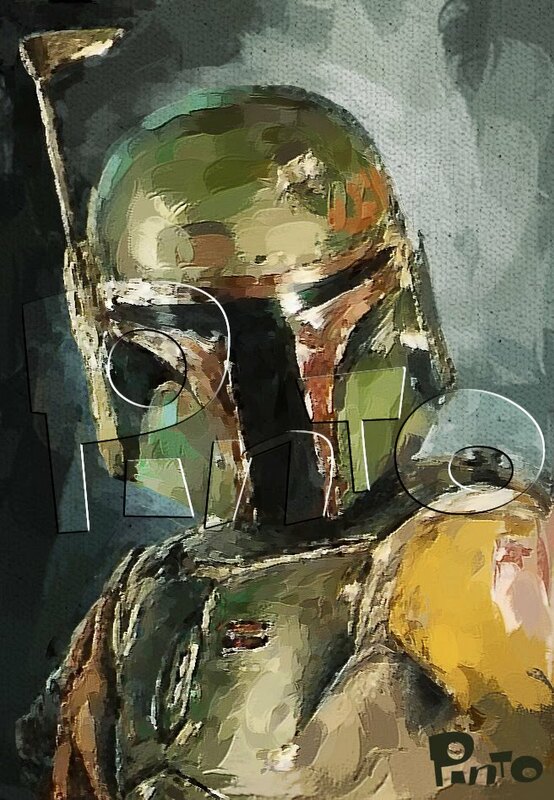 Luckily I had a Boba Fett painting done some time ago that I could print out and bring in (you saw it here ). 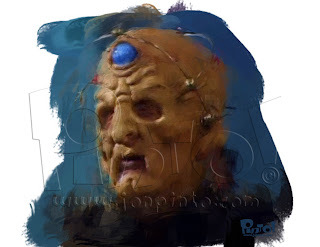 What I did not have (yet) is a picture I had done of Davros!! So, being worried and nervous about how the second day would go, I got little sleep so I found myself with some time to do a quick digital painting of the creator of the Daleks. Printed it out and viola!! Simple as that right!!?? I hope to do a "Pinto" version of the character in the near future. Maybe a whole scene with the 5th Doctor, Tegan, etc.! Fun! Terry Malloy signed it to my son and even added "Exterminate" to it!! I also had some free time during the show to work on the next installment of The Master! I'll finish this one day too. Holidays are coming ya know!